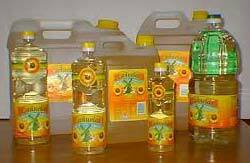 Corn Oil Specification: Commodity: Refined Corn Oil (RCO). Type: Refined, Winterized, Deodorized, Bleached. Origin: EU. Quality: Fit for human consumption, free from foreign matter, any other oil or animal fats. Color (51/4 Lovibond): Yellow 30, Red 3 maximum, light yellow, clear and transparent. Odor: Neutral odor, without an artificial odor additive. Visibility: Without any deposition and blurriness. Taste: Neutral, without an artificial taste, free from rancidity or any strange or bad taste and smell. Shelf Life: 12 months, can be up to 24 months with addition. Quantity: Up to 5000 Metric Ton (MT) per month. Physical and Chemical Analysis: Free Fatty Acid (% m/m Oleic Acid): 0,3 g maximum. Acid Number (mg KOH/g oil): 0,6 maximum. Peroxide Value (meq O2/kg oil): 10,0 maximum. Iodine Value (WIJS Method): 103 - 135 Moisture: 0,2 maximum. Volatile Matter (% m/m at 105oC): 0,2 maximum. Saponification Value (mg KOH/g oil): 187 - 195 Unsaponifiable Substances (g/kg): 2,8 maximum. Insoluble Substances in Ether (%): 0,05 maximum. Refractive Index (at 40oC): 1,465 - 1,468 Specific Gravity (g at 20oC): 0,917 - 0,925 Soap Content (% m/m): 0,005 maximum. Halphen Test: Negative. Mineral Oil Test: Negative. Sesame Oil Test: Negative. Cold Test (5,5 hours at 0oC): Clear. We are able to supply in packings following: PET Bottles: 1, 2, 5 and 10 Liters each. 24.000 Liters per Truck. Bulk: 25.000 Liters per Tanker Truck. Inspection: By SGS or similar at buyer's expense. Shipment: In lot of Truck loading quantities. Selling Method: Ex Work, Warehouse, FOB, C&F, CIF ASWP. Delivery: Within 10 days from the date of confirmed payment. Packaging Details As per buyers wish and demands.